Our cosmetic surgery office in Spokane, Washington, is located on Riverside Avenue, just west of downtown Spokane and a few blocks south of the Spokane River. You’ll find that we don’t just provide leading-edge aesthetic medicine; we create a comfortable, relaxing experience. To learn more about Dr. Kevin Johnson and the procedures available at Advanced Aesthetics, request your complimentary consultation online or call us at (509) 209-2171. We serve men and women from Washington and Idaho, as well as states such as Montana and Oregon. 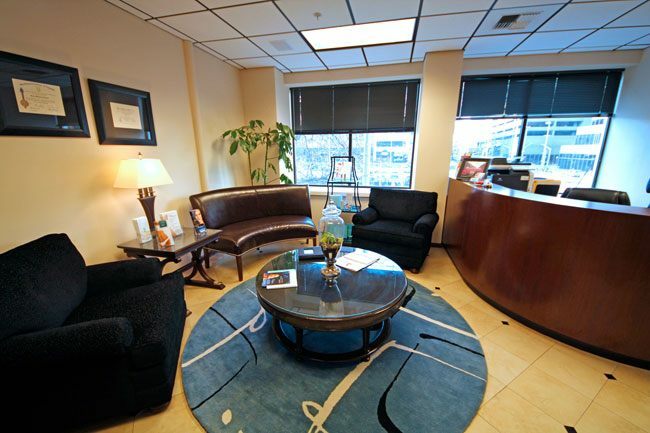 Our Spokane cosmetic surgery clinic is located in the Fidelity Building in bustling downtown Spokane, just 2 blocks from Riverfront Park and Riverpark Square. Both off-street and lot parking options are available steps from our front door. Our office is connected to the skywalk. After your procedure, treat yourself to the fine dining, shopping, and attractions available downtown, or head home on I-90, easily accessible from our office. Idaho and Spokane residents seeking cosmetic surgeons consistently find satisfaction with our level of skill and service. We are confident that you will find as much fulfillment with your experience at our practice as you will with your results. Head east on I-90 East. Use the right 2 lanes to take Exit 280 toward Lincoln Street. Continue straight onto West 4th Avenue. Make a slight left toward South Lincoln Street. Turn left onto South Lincoln Street. Turn right onto West Riverside Avenue. Dr. Kevin Johnson’s Advanced Aesthetics will be on the left. Head west on I-90 West. Take Exit 280B to merge onto South Lincoln Street.